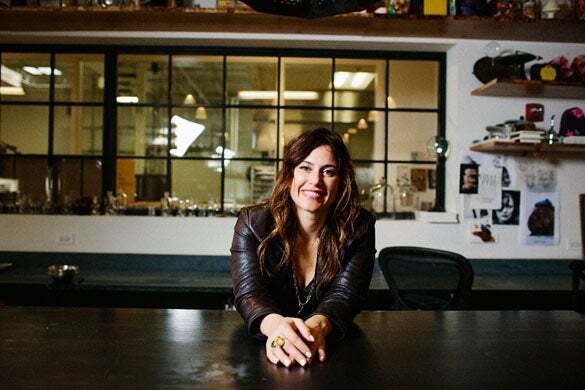 In the middle of a busy work day, Katrina Markoff, CEO and Master Chocolatier of Vosges Haut-Chocolat, took a little time to share with us a bit about her chocolate journey, where she gets her out-of-box inspiration, and how she manages to make it all work. Come journey with us and get to know the woman who invented chocolate covered bacon. My days working at Vosges are all different. Because I’m the CEO as well as the Master Chocolatier, I’m always juggling a blend of activities and responsibilities. We’re currently building another chocolate lab, so I’ve been coordinating everything that goes into that. Some days include meeting with the PR team and I often travel for interviews. This week, it’s an MSNBC interview in New York city on trends in chocolate and sustainability. Of course, I also do a lot of chocolate tasting, both the chocolates that we’re testing and chocolates from other shops so I can keep tabs on what’s happening in the chocolate space. I have someone in charge of all research and development, but I do get involved in the test kitchen when we’re working on something that is hard to figure out. For instance, we’re in the process of creating a new beverage line and I’m the one creating all the recipes and testing them. Getting my hands on the ingredients helps jog the ideation process. I didn’t actually like chocolate when I was a child, but that was likely because I wasn’t exposed to high end chocolate until I arrived in Paris to attend the Cordon Bleu cooking school. I was out one evening and came across a place that was taking frozen ganache, dipping it in beignet batter, and frying it. When I took my first bite and the warm chocolate exploded into my mouth, I was sold. After that, I spent a lot of time exploring chocolate shops. I attended culinary school because I wanted to work in a pastry kitchen, but when it was time for me to go home, I no longer wanted to be a chef. I just didn’t like the culture. It was also frustrating to work in kitchens where no one was innovating or pushing any boundaries. I was delighted to arrive back in the USA in the middle of a huge foodie movement. The food culture was blooming right and left, but no one seemed to be exploring chocolate. It left a big void that was begging to be filled with someone interested in venturing into the high-end chocolate space. I knew I wanted to work with chocolate, but it wasn’t until I made a truffle inspired by a beloved Nagaland Tribe necklace that I realized that I really wanted to use chocolate to tell stories. The night I had that epiphany, I made 22 different chocolates, each based on a story with a soul. I wasn’t inventing anything new. 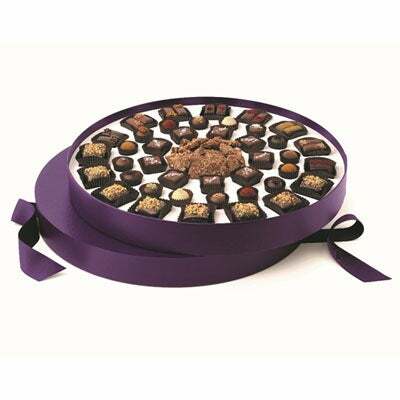 Chocolate has been around since it was revered in Mayan times and then made sweet by Europeans. It’s one of the most powerful foods in the history of food. Chocolate has always had a soul, I was just finding new ways to express it. I brought those 22 chocolates to the office where I was working in Dallas. At first, everyone was a little weirded out by the flavors, but once they tried the truffles, they loved them. It felt like I was opening up their minds to new ideas and I found myself thinking that maybe this was how I could bring peace to the world; opening up one mind at a time to new cultures and experiences. I spent seven months working on concepts and then moved to Chicago. A year after I made my first truffle, I opened my first shop. I get my inspiration from my travels. Wherever I go, whether it’s on my own or with my family, I try to integrate my quest for new chocolate ideas into the trip. My most recent big trip was to Bulgaria where I explored the Valley of the Roses, an amazing place where you can find the best rose water in the world. It inspired me to create multiple chocolates infused with rose. Sometimes my inspiration comes from more mundane moments. The inspiration for the new beverage line came to me because I don’t drink coffee, but I often long for the instant pick-me-up of caffeine. Cacao contains plenty, but chocolate milk is hardly a healthy option to indulge in on a regular basis. So, I’m basically inventing an adult version of chocolate milk. The drinks will be healthy, inspired by herbal remedies and other ancient traditions. I’m aiming for something yummy that is plant based and doesn’t contain any refined sugar or dairy. I was surprised to discover the impact my creations were having on the chocolate world. I had no idea how much of a trend I was going to start when I dreamed up my first truffle. Before I got started, you couldn’t get high end chocolate at the grocery store. Now, thanks to my innovations in flavor, lots of options are available to everyone. There were a few unexpected hurdles along the way. Like the time I came up with a chocolate bar that contained pieces of bacon and the FDA didn’t know how to classify the end result. They were baffled. I was amused. The most out-there thing I’ve ever heard of anyone doing with our chocolate is bathing in it. A woman once emailed us to tell us that she’d bathed in a bathtub filled with melted white chocolate lavender from our bar line. Cocoa butter is known to be good for the skin, but I hate to think of having to clean out the tub after the bath! My favorite thing to gift is the Petit Ensemble. 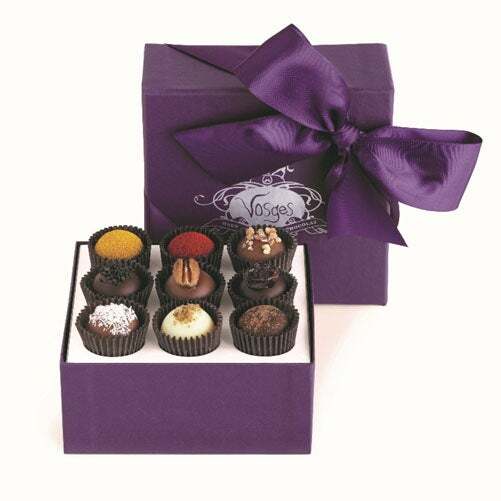 It’s a box that contains a little bit of everything and allows people to really get a feel for the chocolate we create. In other instances, I might give someone our cold brew chocolate bites or our Matcha Spirulina bar. Matcha is super hot right now and people love this bar. The cold brew bites come in a hand-stamped muslin bag and are just fun and different.